The Teller and the Tale Radio: Could I Be A Storyteller? 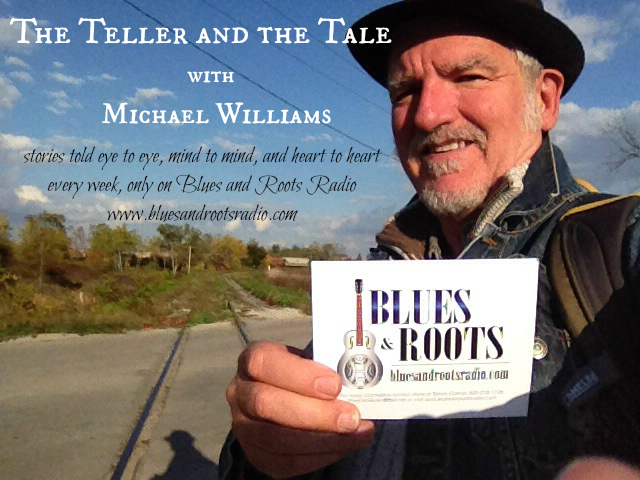 As the host and producer of the Teller and the Tale, my weekly, half-hour storytelling radio programme on Blues and Roots Radio (www.bluesandrootsradio.com), I’ve had the privilege of getting to know a lot of storytellers. In fact, over the past four years I’ve interviewed nearly seventy tellers from Scotland, Canada, the United States, Denmark, India and other places. And if you’re a listener to the show, you’ll know that I’m fascinated by a storyteller’s upbringing and, in particular, whether or not they had a “special start” in life. Did they grow up in a “storytelling” family where parents and grandparents told lots of stories? Were they encouraged to read at an early age or given special help to become articulate? Did their parents encourage them to perform in front of others? I ask these questions because many people I meet believe that these are the pre-conditions to becoming a professional or even a non-professional storyteller. What about school? Again, most storytellers don’t recall a particular momentous occasion that hurled them toward a storyteller’s life, but they often do praise a particular teacher—usually an English teacher—who told stories, encouraged creativity, and regularly praised a student’s imagination and creative efforts. What I find interesting, though, is how many storytellers reveal that they were shy as adolescents and not particularly outspoken at all. They did not identify themselves as natural extroverts or performers. Yet, they do report having a very active inner life. Many have told me that journaling or keeping a diary or writing poetry was a way of expressing themselves as adolescents. Very often, it’s not until they are in their 20s or 30s that they acknowledge that they had an unique voice that longs to speak and be heard. And if there is one particular event that unites these voices, it is the experience of hearing a storyteller for the first time. Expressions such as “I want to do that” or “I could do that” are typical responses upon hearing a storyteller for the first time. Many storytellers take the first step by enrolling on a half-day or full-day workshop. I was well into my 40s when I began what amounted to a seven-year “apprenticeship” through workshops and courses at the Scottish Storytelling Centre in Edinburgh. My initial reasons were to augment my professional development as a teacher so I could offer storytelling to a wide range of pupils, but soon I was beginning to see other possibilities. Similarly, many storytellers tell me that they too undertook storytelling as a complement to their work as teachers, therapists, social workers, mental health and community workers, librarians, actors, and, of course, as parents and grandparents. And while the art of storytelling is a useful addition to these roles, once bitten by the storytelling bug, as I was, many go on to explore the world of professional or public storytelling. Of course, I have to qualify the word “professional”. By it, I mean those tellers who tell in situations for which they are paid. Like any professional artist, storytelling can be developed as a sophisticated and entertaining art form. Some tellers develop their art to work in therapeutic or even business settings. But earning an income from storytelling does not define a storyteller. In a larger sense, we are all storytellers. To be human is to have a story, or more accurately, stories to tell. And there are many different ways of telling or sharing our stories. We can tell to our children, our partners, our communities, to strangers and friends. We can write our stories, we can dance them, sing them, draw, paint, and photograph them. There is no one way to tell our stories and no one way to become a storyteller. Every voice, like every life journey, is unique. And yet, the stories we tell, though differing in the details, link us together through the experience of our common humanity. Over the past four years as a radio host, I’ve discovered dozens of wonderful storytellers and had the privilege of hearing their stories. And I’ve come to the conclusion that no matter where they come from, storytellers are like you and me, no more special, no better, no worse. They are just like us – people with a story to tell. And if there’s one message they all pass on is that everyone should have a chance to share their story. 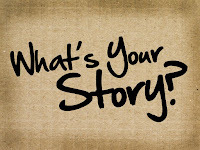 So, could you be a storyteller? Of course you could. Today, storytelling is enjoying a renaissance. Storytelling workshops and courses abound both online and in venues everywhere. Most towns and cities have storytelling clubs or guilds which welcome newcomers. They’re a great way to making new friends and feeling part of a vibrant community. Start by doing an online search for “storytelling groups” or check your “What’s On” section of your local paper. Why not make this year the year you started sharing your stories and learning new ones. After all, if you don’t tell your story, who will? T be a storyteller you must first have good imaginary skills along with good communication skills. If you are not good with expressing your thoughts in good words then you are not a good storyteller.